I am writing this work performance recommendation for Michael Harris. I have known Michael since 1997 when I move into St. Simons Island, GA. Michael is a young and most successful real states agent in the Golden Islands. The combine experience as a travel salesman and home remodeling has giving him the edge in the real estate business, he can sale and he knows about houses more than any one I have deal in the area. Michael great connection with the customer and relentless perseverance to always make the customer happy allowed him to become one of the top real states agents in the Golden Islands. I have enjoyed watching the way he has grown and exceeded his own expectations. 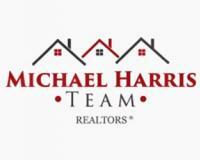 Out of all of the agents that I work with, Michael Harris shows unmatched professionalism when working with his clients. Time after time, he is able to exceed his client's expectations whether it be finding a home, or selling their home. I give my strongest recommendation to Michael, and would absolutely work with him to manage my real estate. "I am writing this work performance recommendation for Michael Harris. I have known Michael since 1997 when I move into St. Simons Island, GA. Michael is a young and most successful real states agent in the Golden Islands. The combine experience as a travel salesman and home remodeling has giving him the edge in the real estate business, he can sale and he knows about houses more than any one I have deal in the area. Michael great connection with the customer and relentless perseverance to always make the customer happy allowed him to become one of the top real states agents in the Golden Islands. I have enjoyed watching the way he has grown and exceeded his own expectations. "